The Fritz Speakers and WyWires room was a revelation. I heard several other reviewers say the same thing. My best description of this room was it is what I would consider an incredible price for a true high end system. There were several rooms at the show that had outstanding sound for the money. One that comes to mind was the Music First Audio room with the Audio Note AN-E Lexus speakers and their Baby Reference transformer coupled, passive preamp, but this system cost considerably more. Then there was the Napa Acoustic room with a complete system for under $800. This was just unbelievable for the money, but not truly high end. 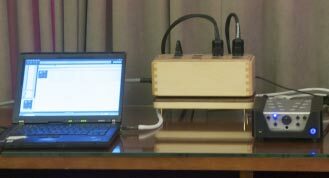 The same could be said for the little speakers and DACs from Audioengine. The thing that set the Fritz/Wywires room apart was the incredibly musical sound for the money. 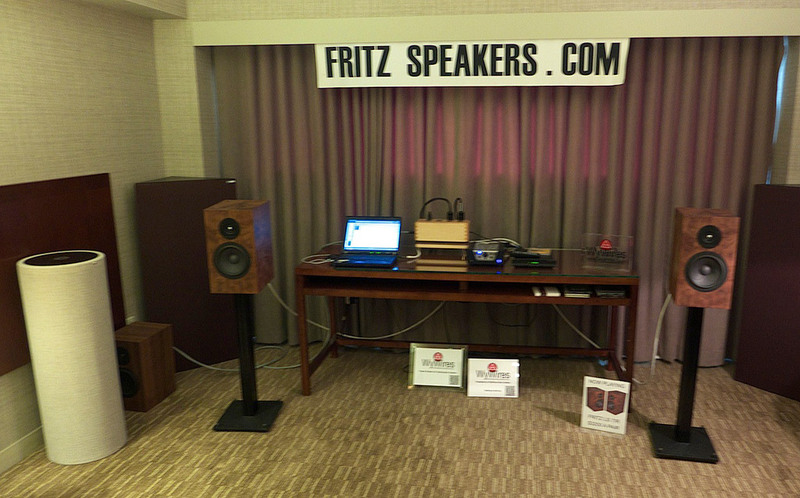 It featured Fritz LS/7R speakers with drivers from ScanSpeak’s Illuminator line ($3500). 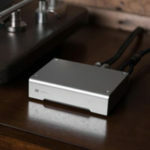 They were powered by a Wyred4Sound mINT 100W Amp/DAC ($1495). 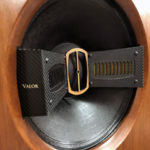 The speakers use a new Scanspeak woofer and a Scanspeak ring-radiator tweeter with aluminum waveguide. All the cables were WyWires. 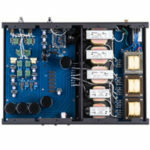 They were using the Blue Series cables (speaker-$599, interconnects-$469, power cords-$249, USB cable-$429), as well as a WyWires Power Broker ($2499). Here we have a system for less than $10,000 that sounded better than some rooms with individual components that cost more than that. The system sounded well controlled but also nicely alive and musical. It also was emotionally involving and full of tonal color. The bass was well controlled, tight, quick with better decay than it had any right to have. It’s not as alive or as brilliantly lit up as a great SET system, but it was very good. 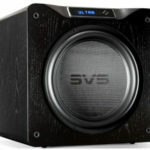 I should also mention that while the micro-dynamics were not the best I have ever heard, the dynamics and soundstage were far better than speakers this size or a system of this price should cost. I should probably also mention that “Fritz” is a one-man shop in Los Angeles, and all his gear is made in the USA. WyWires is also a Southern California company. These two companies should be congratulated for making such great high end products for such a fair price. Well done! One last thing: Fritz Heiler along with Nina and Alex Sventitsky of WyWires are also some of the most congenial people at any audio show I have attended. I love my Fritz speakers. They sound good with every amp I’ve hooked up to them… Rega Brio, Red Wine Audio, Vintage Marantz, Naim Nait 5i, etc. You can hear the passion that goes into every Fritz product, Kudos to a master speaker maker and a real nice guy too!